One of our Year 5 students is a budding Karate champion and has been competing in several categories won some silverware. 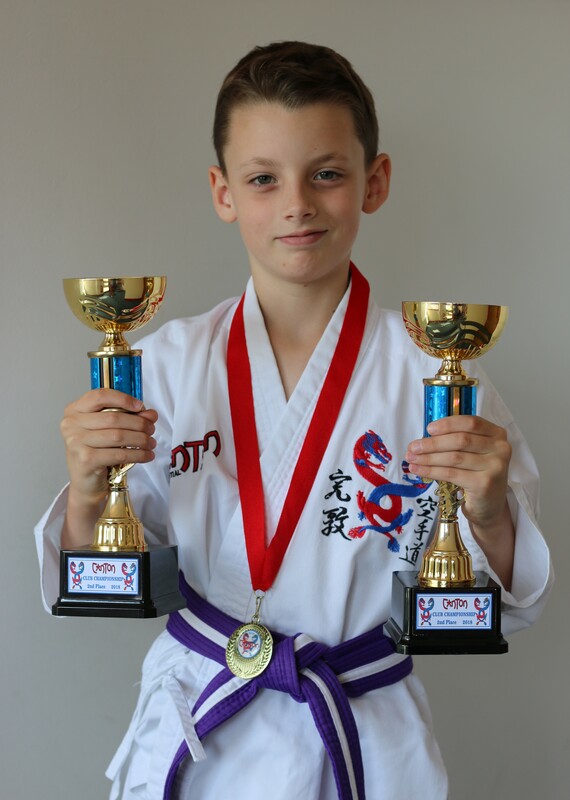 He got two 2nd places in the Canton Martial Arts Karate Club National Championships. Both were in the 9-10 year old boys beginners and intermediate category. The two trophies awarded were for Kata and sparring. For someone so young to achieve such awards is truly an accolade to Luke’s commitment and ability to perform at a national level. We are truly proud of Luke’s tenacity and sheer brilliance which has allowed him to shine in a competitive environment. Congratulations to Luke.